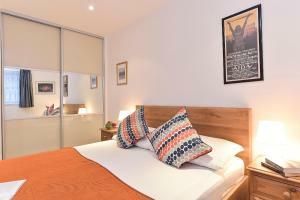 Located in a spacious and secluded building in the heart of London’s Covent Garden, Uber London’s Theatre Land House provides modern apartment acc.. 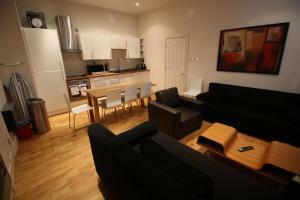 Featuring free WiFi throughout the property, Central Superior Apartments is set in London, 1.3 km from Hoxton Square. Theatre Royal Drury Lane is 1.9 ..
CityGate Tower Bridge offers self-catered accommodation in London, just 5-minutes from Tower Hill underground station and Fenchurch Street Station. 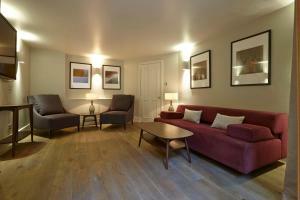 Fr..
Roomspace Serviced Apartments - River House is a self-catering accommodation located in London. 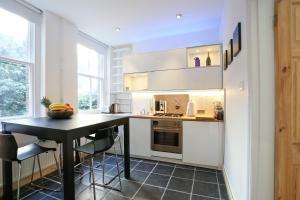 The property is 200 metres from Tower Hill and 300 met.. These modern apartments are situated in the heart of London’s Financial District, close to the Tower of London and Aldgate Tube Station. They boast .. Located in bohemian Clerkenwell, Chancery Lane Apartments offers self-catering accommodation with access to all of London’s sites via local transpor.. 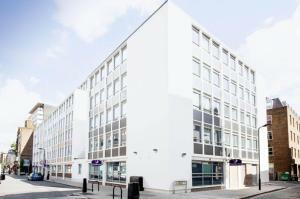 Located in the former Labour Party headquarters, Safestay is a 5-minute walk from Elephant & Castle train station and shopping centre. Free Wi-Fi is p.. Ideally located just 5 minutes’ walk from Covent Garden and the British Museum, 3 Bedroom Central London offers self-catering accommodation for up t..
Drury Lane Apartment is a self-catering accommodation located in the heart of London. 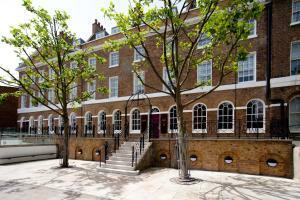 The property is 300 metres from Royal Opera House and 400 metres.. Located within London's famous City of London, these new City Serviced Apartments have fully equipped kitchens and luxurious bathrooms. There is also .. Situated in central London, Premier Inn London Holborn is just a 15-minute walk from Covent Garden, Leicester Square and Piccadilly Circus. Each air-.. 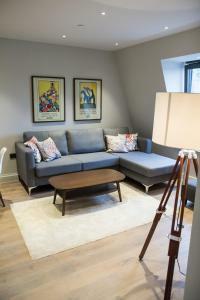 Located in London, House of Kipp Apartments is 200 metres from Charing Cross Road. Royal Opera House is 300 metres away. 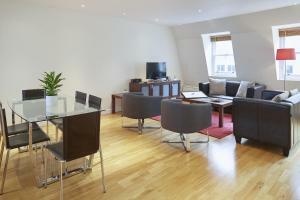 Free WiFi is featured through..
Holborn Apartment offers accommodation in London. 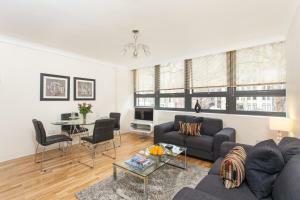 The property boasts views of the city and is 500 metres from British Museum. Oxford Street, Tottenha..
Centrally located in London, Vive Unique Apartment Red Lion Square offers self-catering accommodation a short distance from all the West End has to of..
With a location in the heart of London’s financial centre, Motel One London – Tower Hill offers designer hotel accommodation. Free WiFi is accessi.. 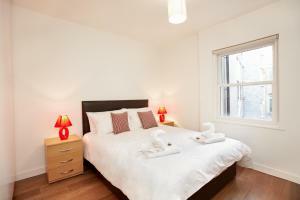 Situated in London, Covent Garden & Holborn - Soho Abode Apartments is 500 metres from British Museum. Theatre Royal Drury Lane is 700 metres from the.. Featuring free WiFi and air conditioning, Belvedere Holborn Executive Apartments is located in London, 900 metres from British Museum. Theatre Royal D.. Private Apartment - Trafalgar Square - The Mall offers accommodation in London, 100 metres from Trafalgar Square and 500 metres from Prince Of Wales T..
LIBRARY is located just 300 meters from Trafalgar Square. 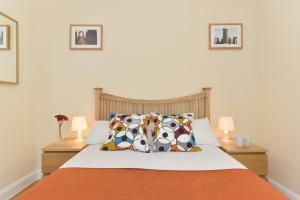 The bedrooms are part of a private members club and offer free WiFi, and guests can enjoy a .. 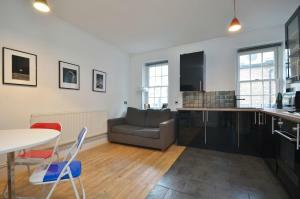 Featuring free WiFi, Brew House Apartments is located in London, 1.4 km from Hoxton Square. British Museum is 1.8 km from the property. All units hav..